Have a great day sweeties & thanks for stopping by!!!!! 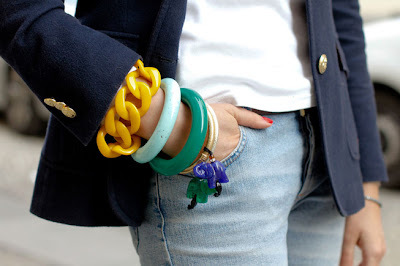 The yellow one would look perfect on your wrist Valeria!! love the bangles too - so cute!! oeh they are so fabulous! E' vero Enza, non si trovano facilmente...xo' bellissimi...graziegrazie e baci! Are these great? I need some! Sì sono davvero belli! !^^ Un bacione Vale! Vero, non male, ma io c'ho sta fissa x il giallo, al momento...baci! Thank you so much for following me! I'm now following you back!